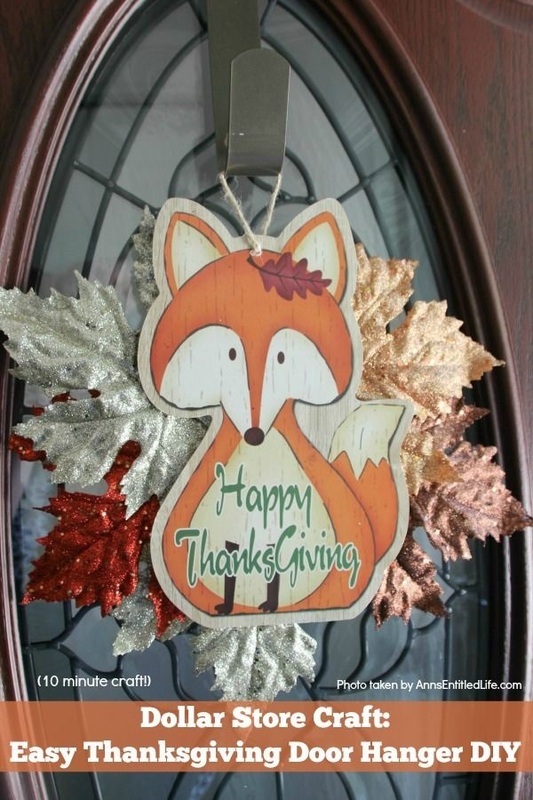 You know those dollar store holiday plaques you see that look kind of plain – specifically the autumn or Thanksgiving ones? 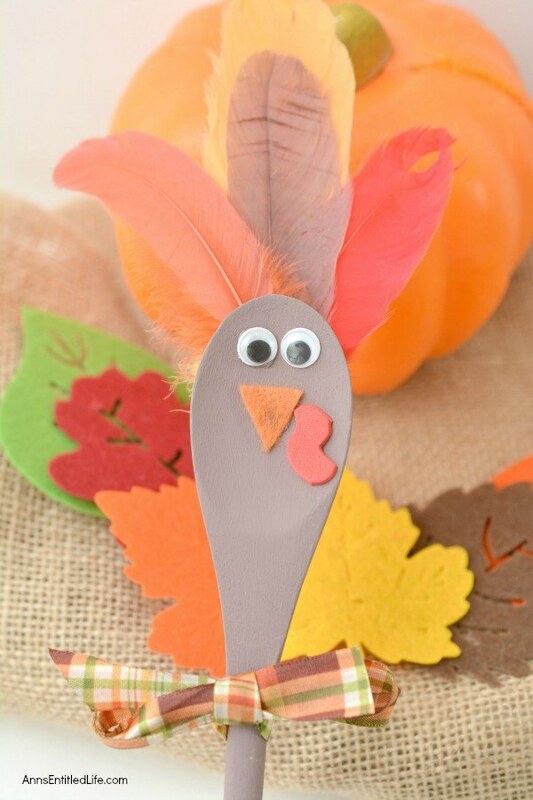 Well, you can dress them up in under 10 minutes to create a cute little door hanger. 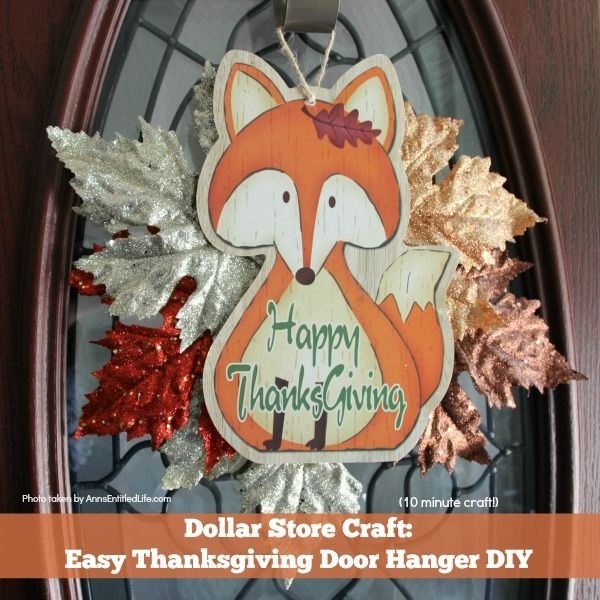 This is perfect for that side door with a screen on it (because it will fit between the screen door and the main door). 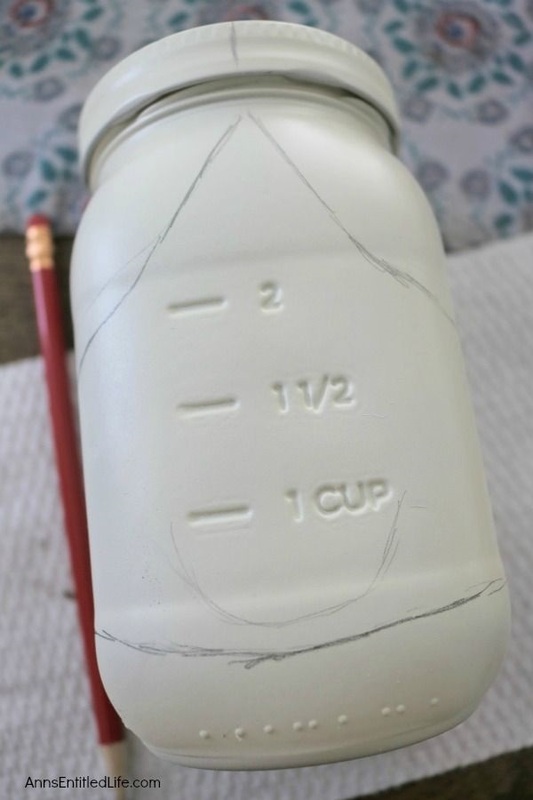 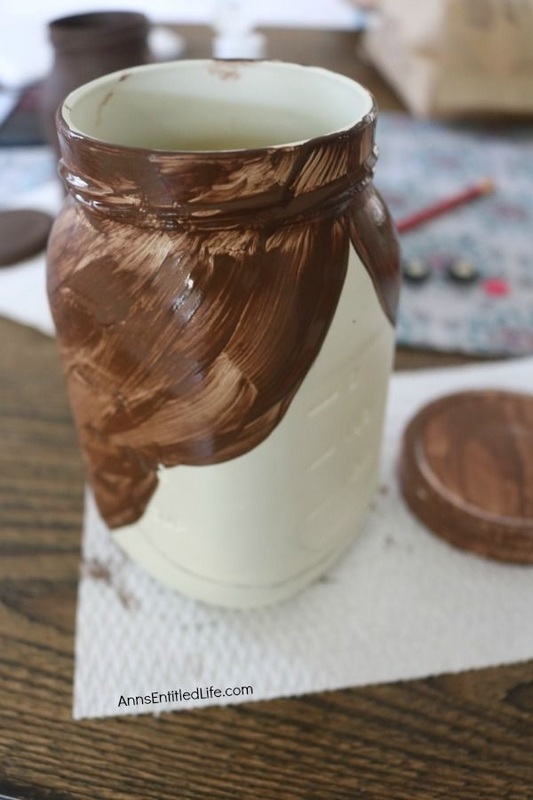 It is so lightweight it makes for a great “grandma” craft – if a child touches it and it falls, it does not break. 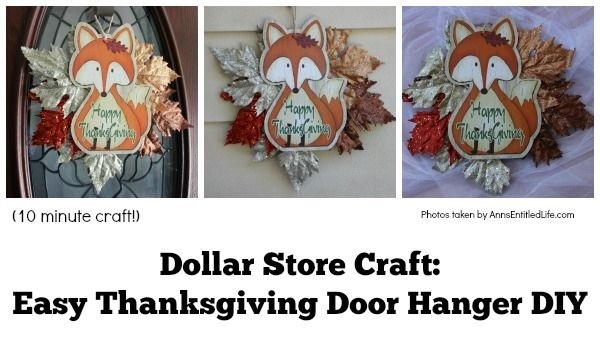 Or, if you are a teacher, it is a $6 classroom door project! 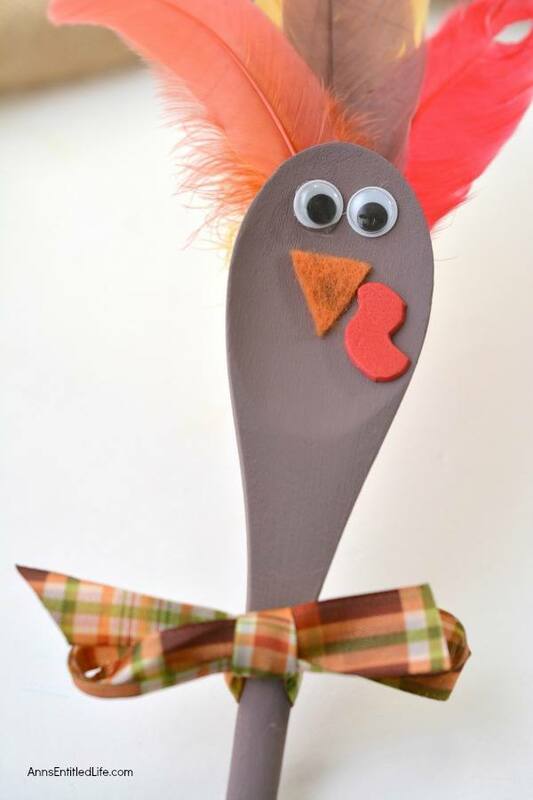 • We used hot glue on this project (that is the royal “we” as it was my niece’s idea and execution). 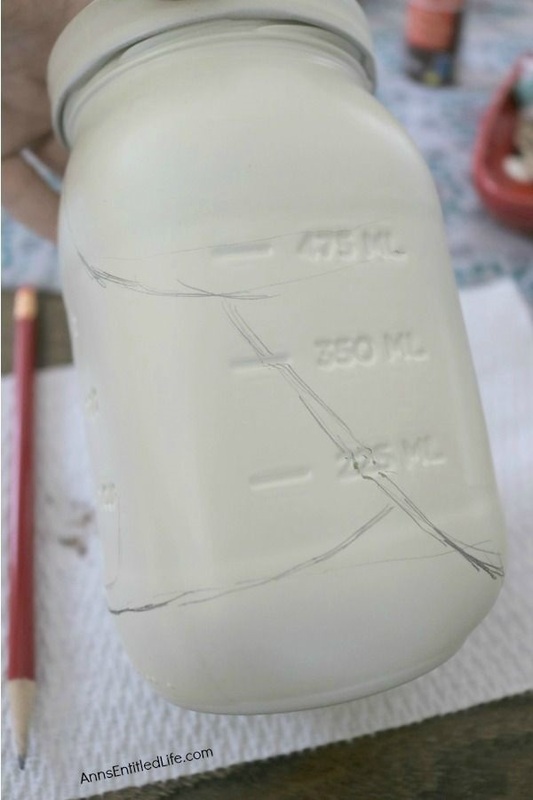 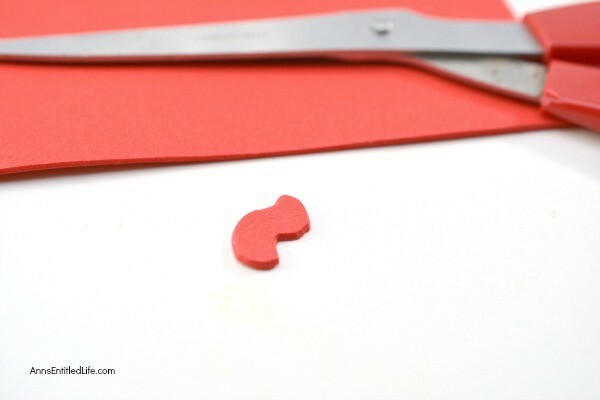 If you prefer to use goop instead of hot glue: once you have glued everything put a large plain piece of paper or cardboard on to of the craft, and then a few books on top of that so it dries flat. 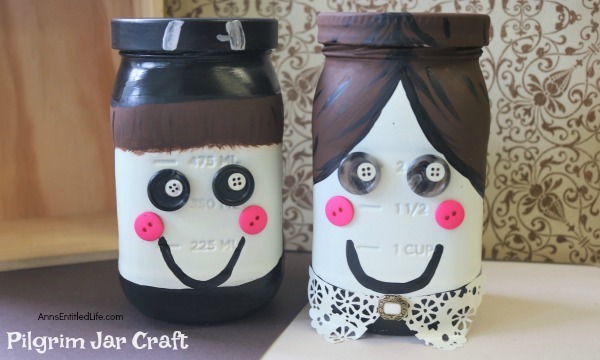 • I called this a “10-minute craft” but honestly? 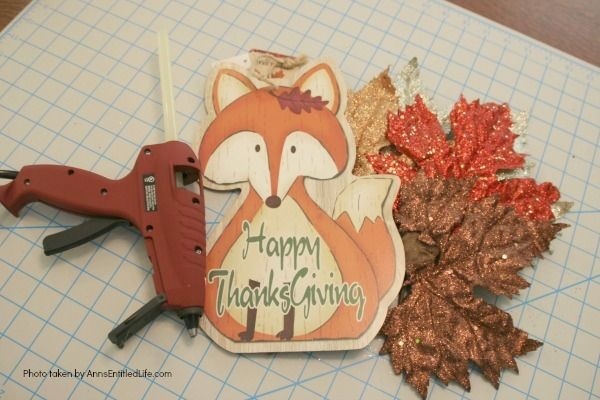 It took longer to gather the glue gun, plaque, and leaves than it did to put this together. 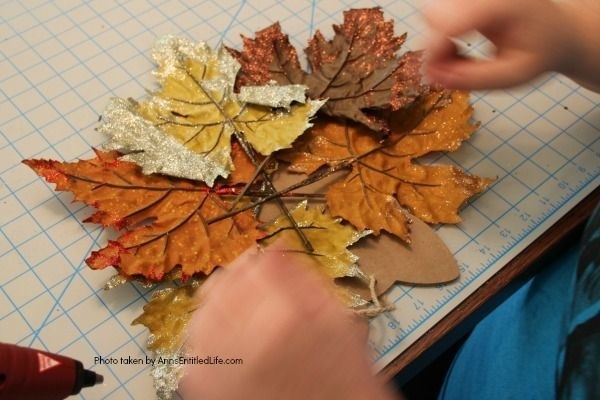 • Arrange the leaves so they overlap, and lay well. 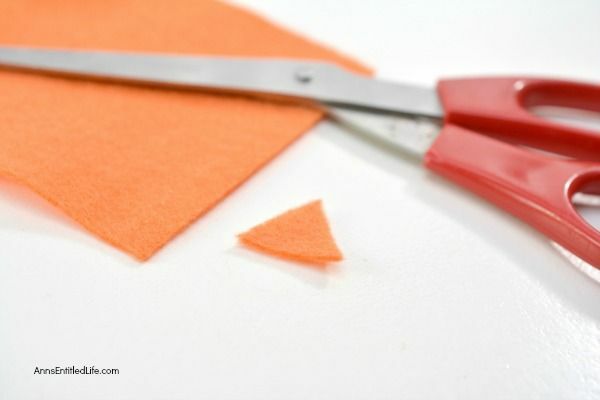 • Remover the plaque, and set aside. 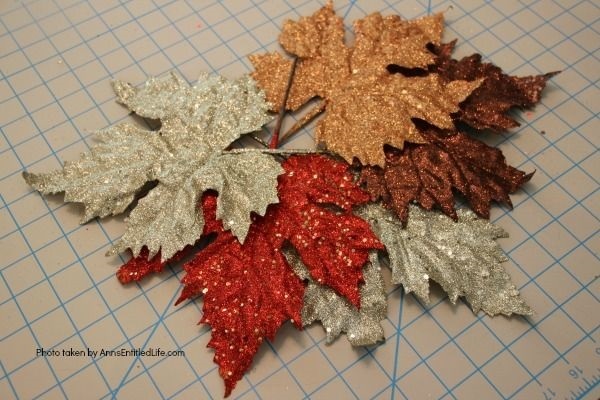 • Turn over the arranged leaves, and hot glue them together in place. 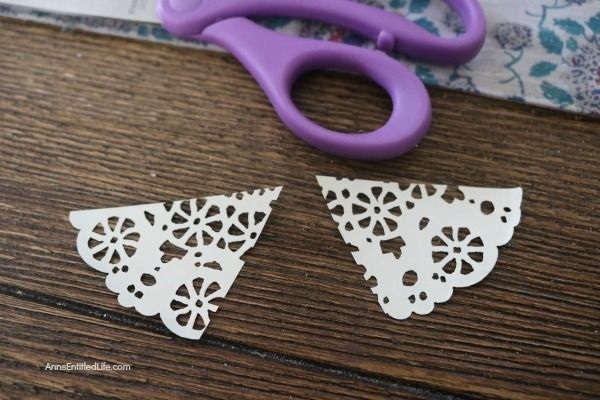 • Turn over glued together leaves. 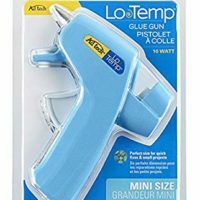 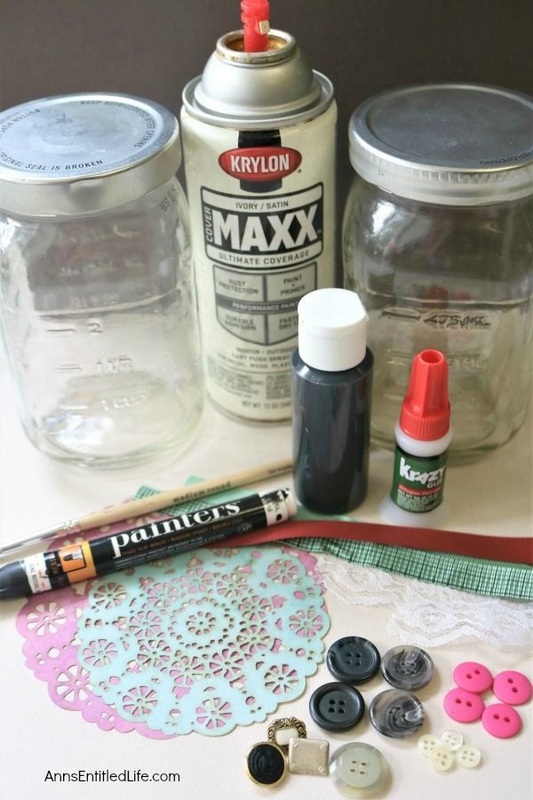 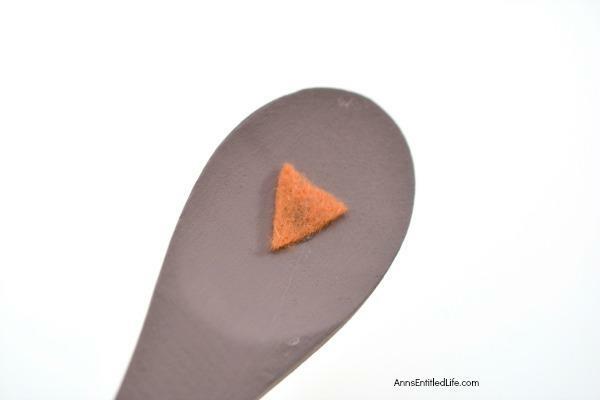 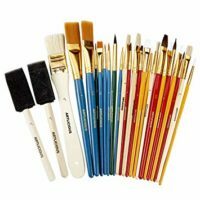 • Replace plaque on the glued together leaves, and hot glue the plaque in place. 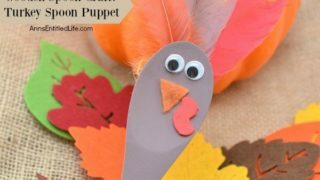 • Easy Thanksgiving Wreath DIY – Make this simple yet pretty and easy Thanksgiving Wreath DIY for the holidays. 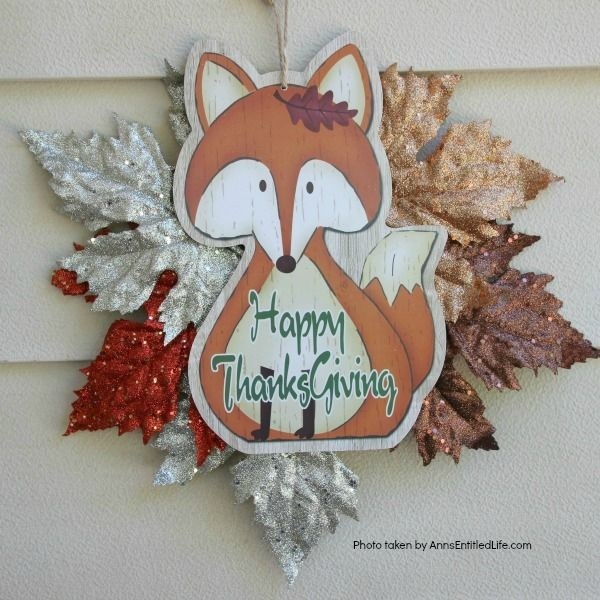 The colors and sentiment are completely customizable. 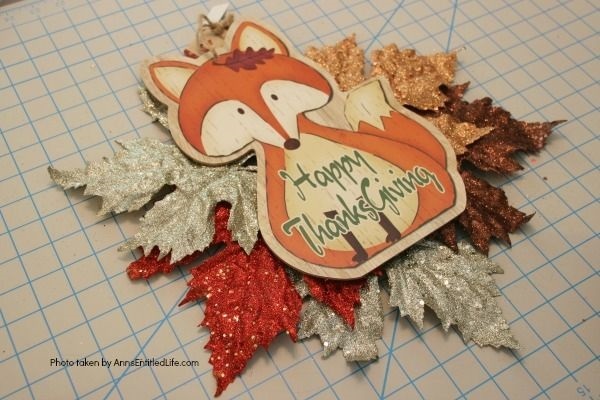 In under an hour you can have festive Thanksgiving decor! 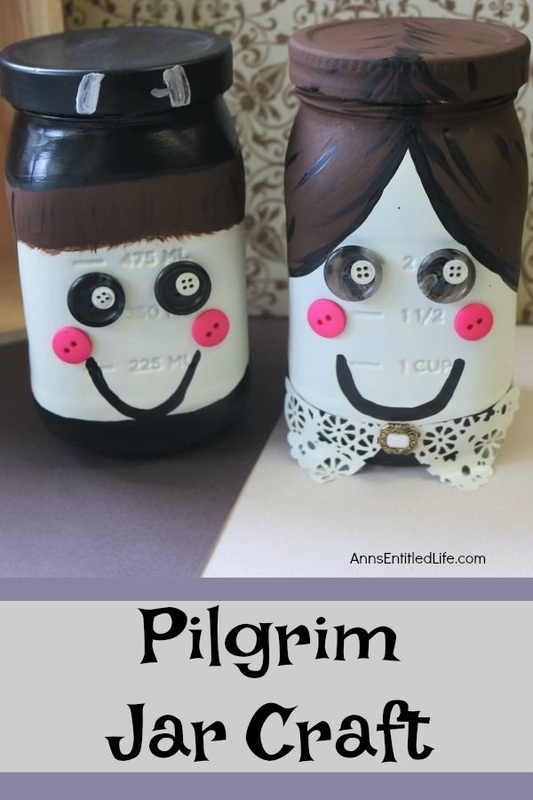 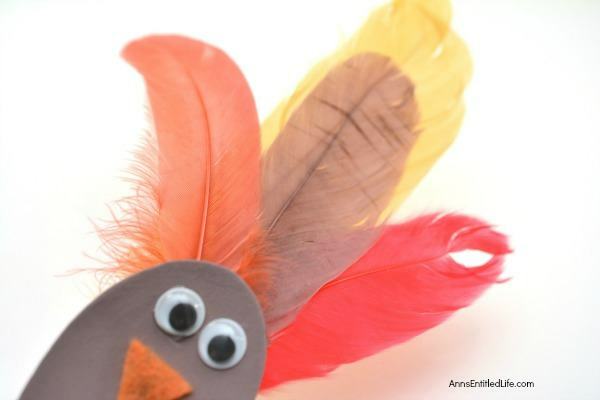 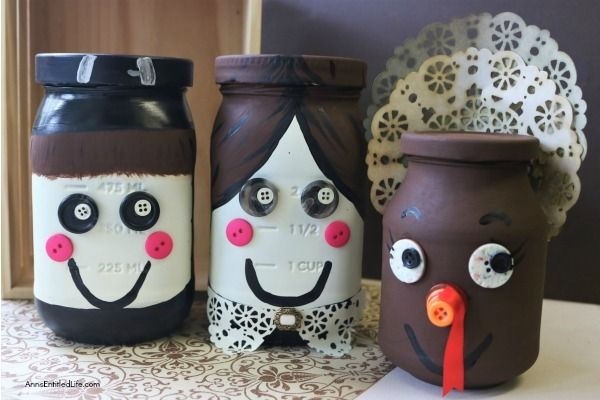 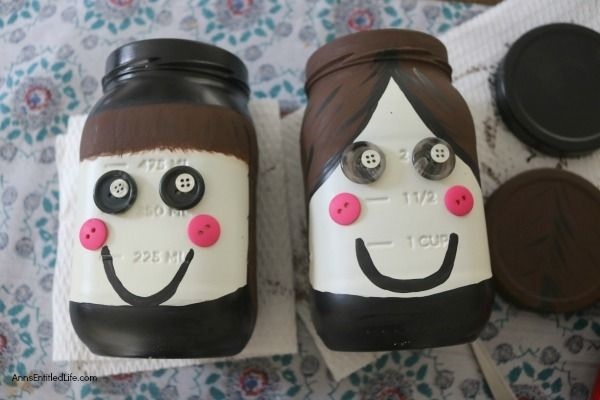 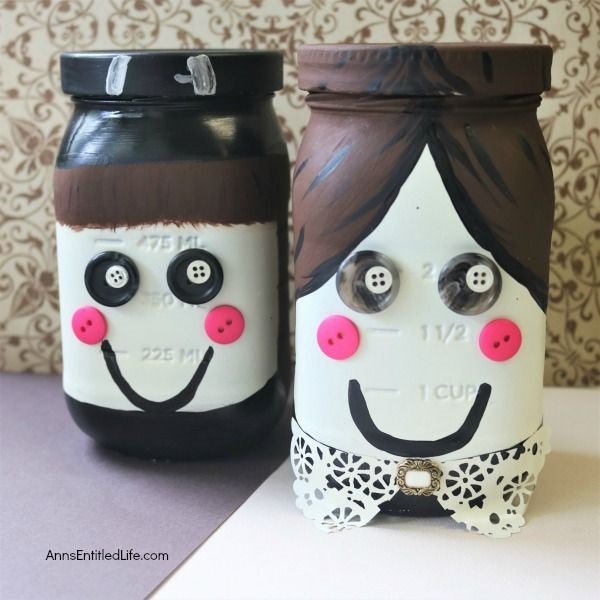 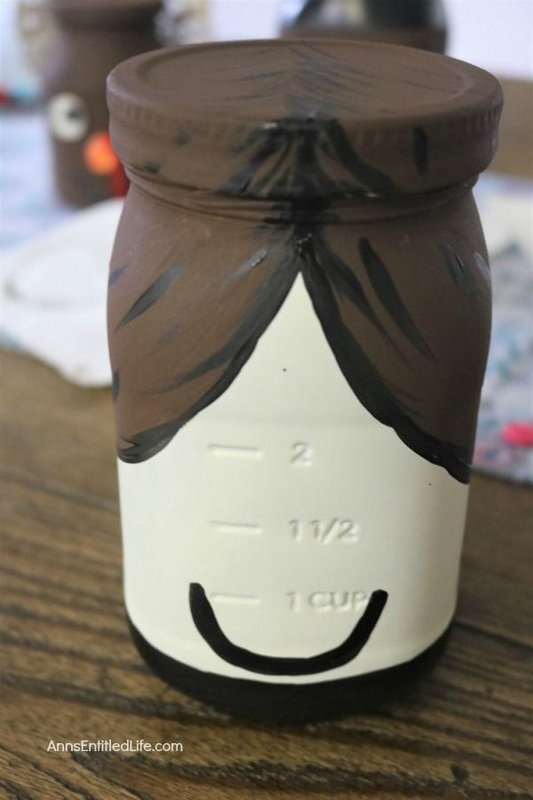 • Thanksgiving Turkey Jar Craft -Make your own adorable Turkey jar craft. 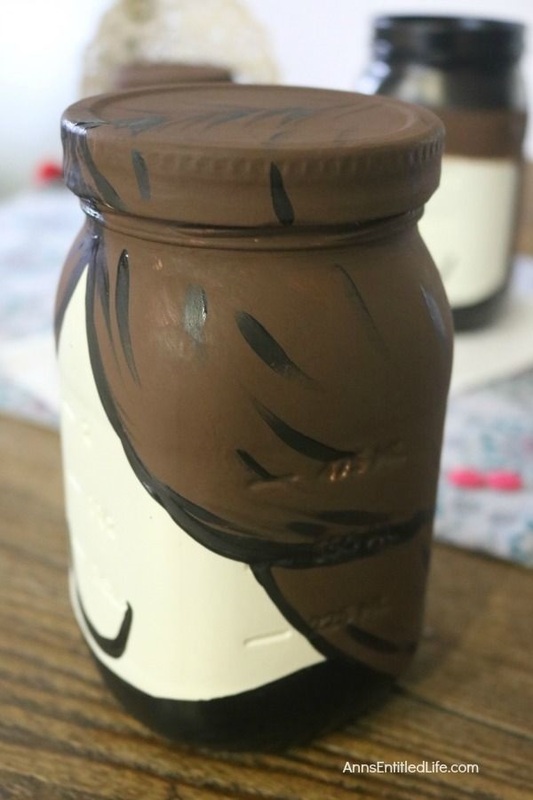 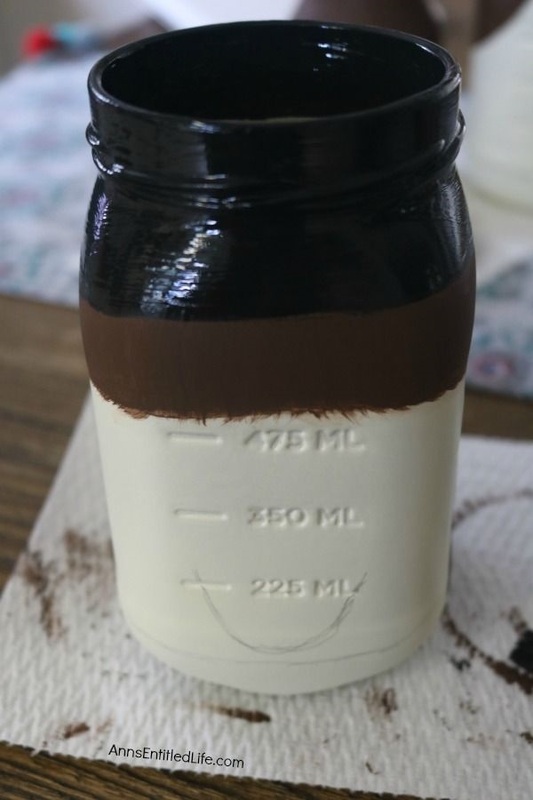 This easy step by step tutorial will show you how to easily make a turkey out of a condiment jar that is perfect for a centerpiece, mantel decor or table decorations this Thanksgiving! 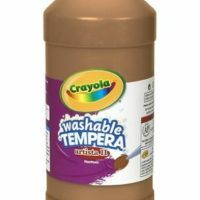 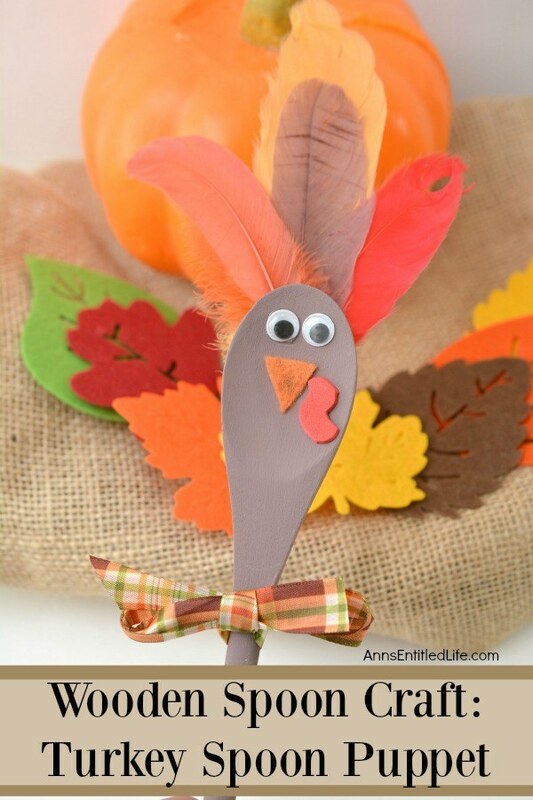 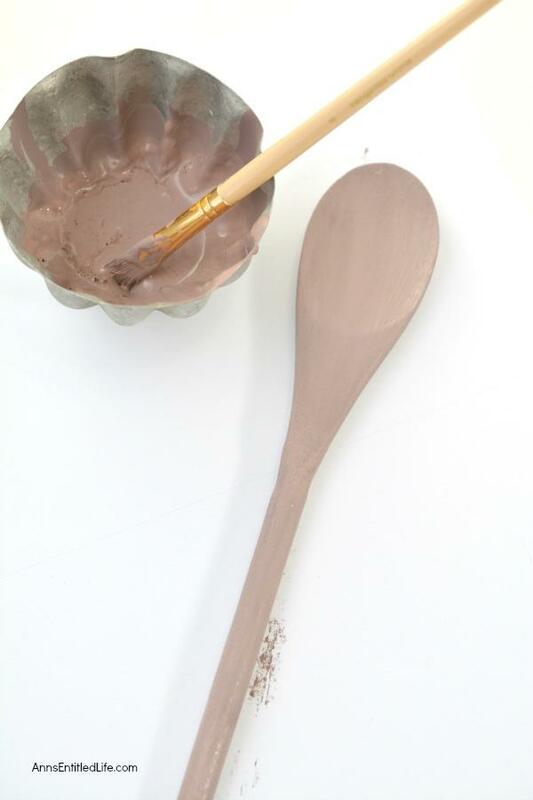 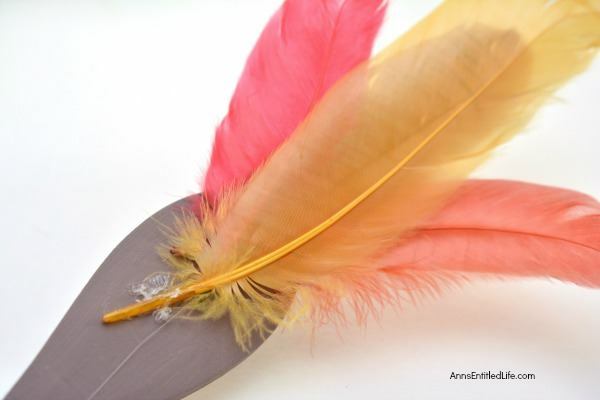 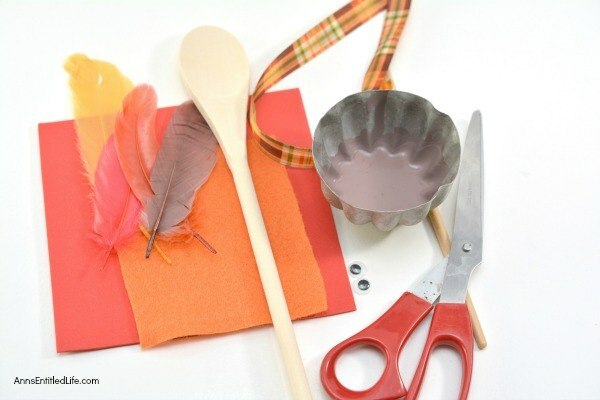 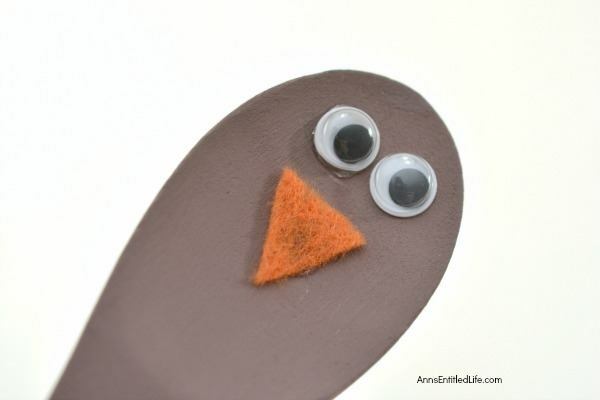 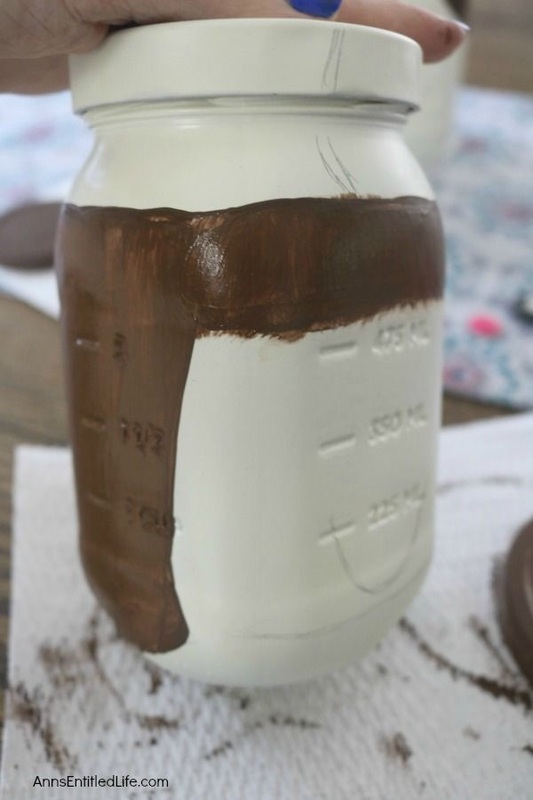 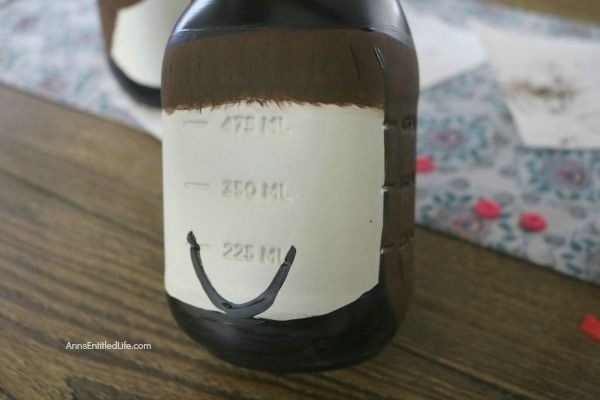 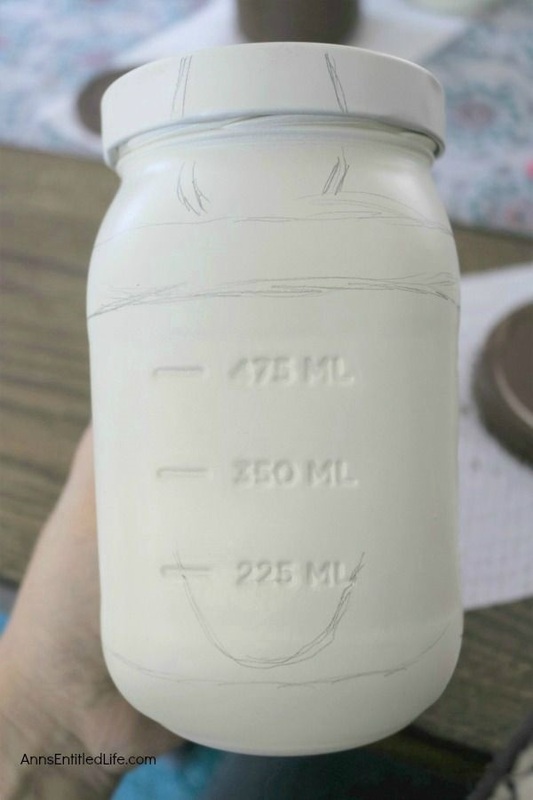 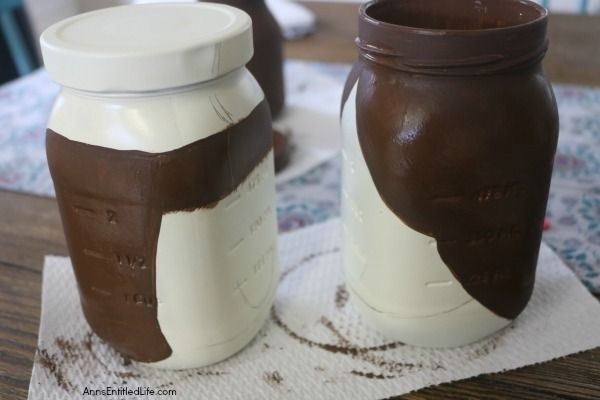 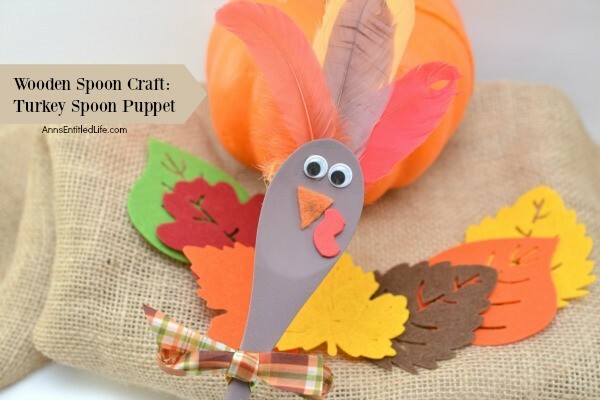 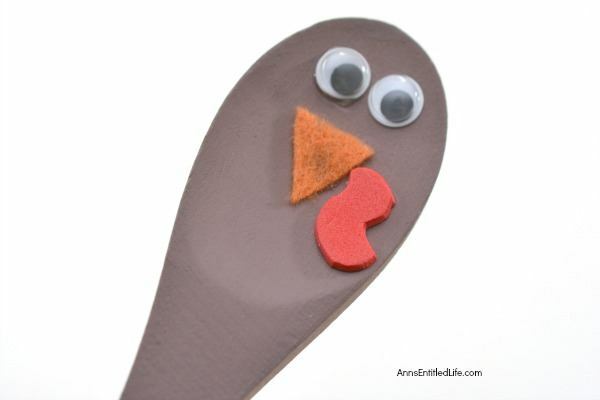 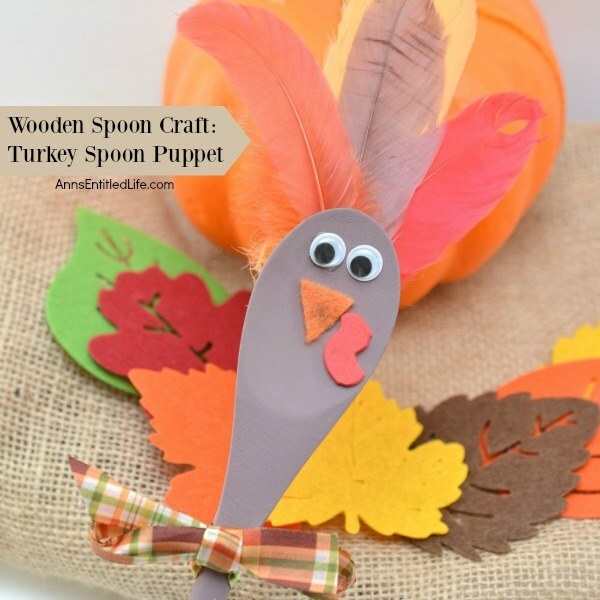 If you are looking for an easy to make Thanksgiving craft project, this is it!